On Tuesday 28th June, Reception were due to go to Hatton Country World, however due to a mix up with the coach company, we couldn`t go, so instead we went on a lovely trip to Trittiford park! We had a great day, the weather was kind to us and it stayed dry until we returned to school. We walked to and from the park, we had fantastic fun playing football, skipping and playing other ball games with our friends- and adults- and then we fed the ducks, geese and moorhens. We also walked to Chinnbrook park and had fun trying out all the play equipment- the roundabout and swings were especially popular. It was lovely that some of our parents were able to come with us or meet us there- to help us enjoy our day. Well done to all the Reception children who behaved beautifully and were very sensible all day- you were fantastic representatives of our school. Very many thanks to all the Reception staff team, our hardworking parent helpers and Mr Franklin- who helped us transport our play equipment, as well as accompanying us all day. 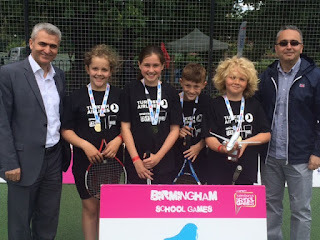 On Friday 24th June four children from Chilcote represented the school in a Brimingham Schools Mini Tennis final having won the Baverstock Partnership event. The tournament took place at Cannon Hill Park. There were eleven teams present at the tournament. In the first game Chilcote played Joseph Watt school and won 3v1 (each member of the team played a member of the opposing team). In the second game Chilcote again won 3v1 this time against Timberly School. In the third game Chilcote played against Chad Vale School. They drew on games 2v2 and also drew on points scored as well. In their final group game Chilcote played against Montgomery School and won 4v0. This meant that Chilcote finished in first place in their group and qualified for the final. In the final Chilcote played against St Nicholas School. The match ended 2v2. That meant it went down to points scored and Chilcote scored 2 more points than their opponents. 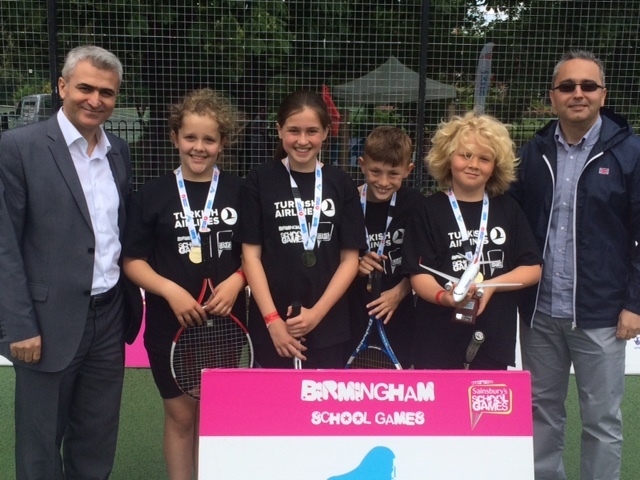 This meant that they won the final and finished the day as the number one school at the Birmingham School Games!!! A massive well done to Zach, Damian, Emily and Grace for their magnificent effort, behaviour and performance!!! On Saturday 25th June, Chilcote Junior choir performed at the annual St Peter`s festival concert at St Peter`s church, Highfield Road. 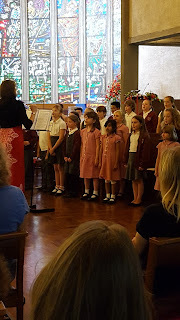 They sang and performed beautifully and we received many compliments afterwards. 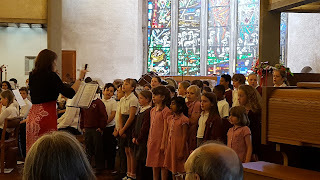 The choir also sat and listened very well to the Concert band who also performed in the concert. 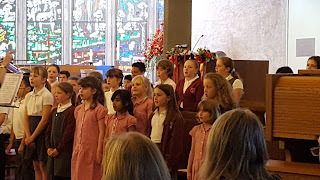 Well done to all of the choir- we are very proud of you for representing our school so well on a Saturday afternoon. 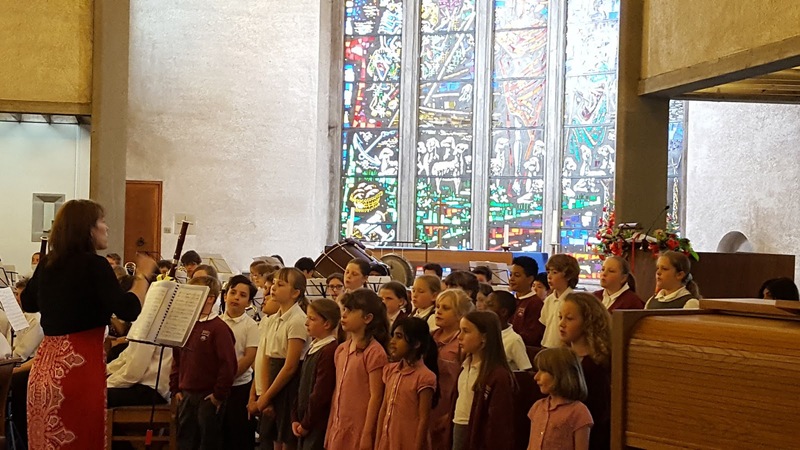 On the evening of Thursday 23rd June, our Chilcote Brass band performed in a concert for `Pupils of Potential` organised by the Music Service at St Francis church in Bournville. They performed very well in front of a large audience and Mirabella and Sirius also played solos beautifully on their french horns. 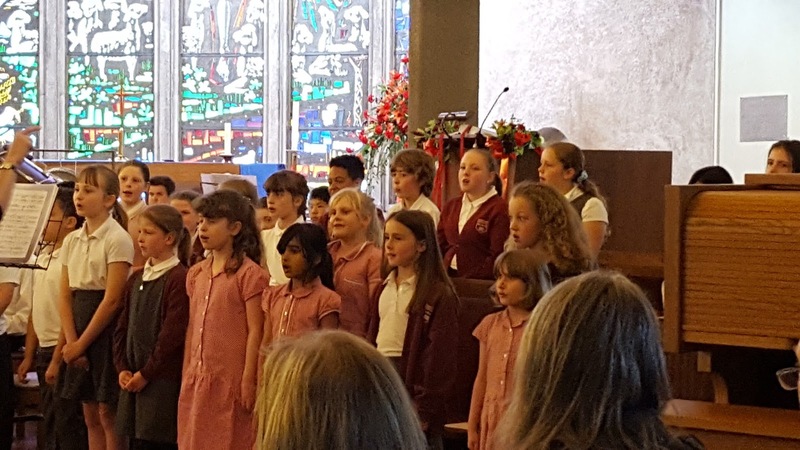 Well done for representing our school so well, we are all proud of you and thank you to you all and to Mr Fisher for taking part in the concert. From 22nd-23rd June (2 Willow) and 23rd-24th June (2 Rowan), Year 2 stayed at the Peckwood Centre. The centre has a huge play area and we enjoyed playing with our friends on the equipment. Playing on the equipment at the centre. We loved the pole! When we were all together on Thursday, we followed a letter trail through the forest to find some hidden words. We also went on a night walk through the forest with our torches. We went for a few walks into the forest. In our own classes, we made dens for our teddies, collected different coloured items from the forest and played some team games. Best of all, in the evening, Mr Cross made a camp fire and we ate hot dogs, toasted marshmallows and had a talent show round the fire. We had a fantastic time! collected from around the play area and forest. Mr Cross made hot dogs and hot chocolate for us. After the talent show, we toasted marshmallows on the fire. Year 4 have had a fantastic time this week during Chilcote's annual Health Week. On everyday they have been out to do the 'Daily Mile' building up towards the fun run on Friday. On Monday, they learnt about healthy foods and took part in the Health Week quiz. On Tuesday, they tried a variety of muffins (lemon, strawberry and blueberry). Then, they tried a variety of fruits to decide which they would put in their muffins. Also, we took part in the British Military Fitness activity session. On Wednesday, they chopped their chosen fruits and cooked their healthy muffins. Also, they took part in the whole school British Military Fitness session. On Friday, the children learnt about drugs and their effects. Then, they learnt about how to stay safe in different situations. Next, they took part in a dance coach session. Finally, all of the children took part in a fun run around the surrounding area. In year 6, we have been doing lots of fun activities during health week, such as: cooking healthy curries (as part of a Design Technology project), taking part in British Military Fitness, completing a daily mile (which will improve our health) and finishing off with a fantastic dance! These activities are not just fun, but will also keep us fit for a brighter future and help us to realise how important exercising and healthy eating is. On Monday the 20th of June, Year 3 enjoyed starting Health Week by running a daily mile, playing a house quiz, learning about how virus and bacteria are spread. As Health Week continued Year 3 also had the opportunity to learn about safety of household products, go swimming, have a session of military fitness lead by military instructors. The children also learnt some dance through a professional dance coach and planned, made and drank some healthy smoothies. This week we have had lots of visitors and exciting activities for our health week. On Monday, Tom, a paramedic (and Lewis and Daniel`s Dad) visited us with his ambulance. It was very exciting to go inside and see all the equipment and hear the siren! We also learned how to check our heart rate with a special machine and how paramedics protect people`s injuries with a special `beanbag` that deflates around broken bones to keep them still. We have been learning all about healthy foods and we have been talking about what foods we should eat. We tried lots of different healthy fruit salad foods and made fruit kebabs. We also had the chance to harvest some of our very own strawberries that we’ve been growing in our Reception garden! They were yummy! We also received training from the British Military fitness team which was great fun!